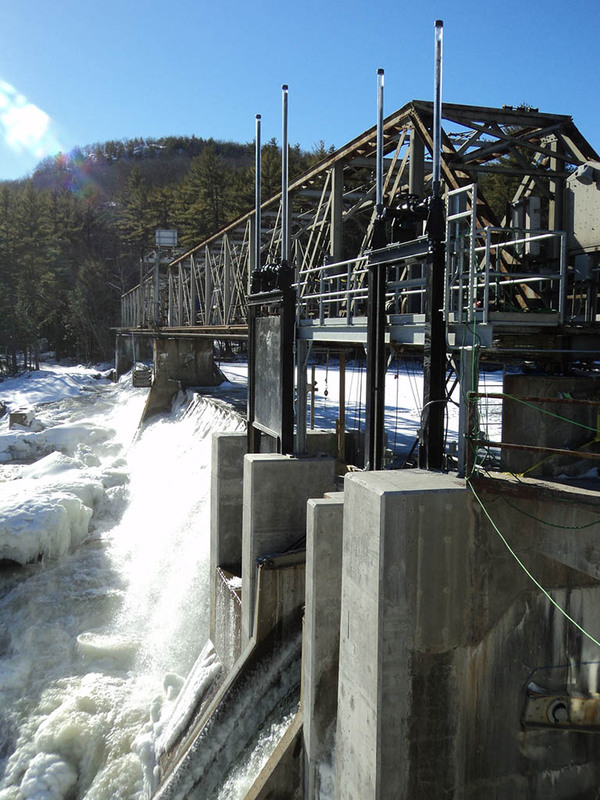 Slide Gates | Weir Gates | Steel Fab Inc. 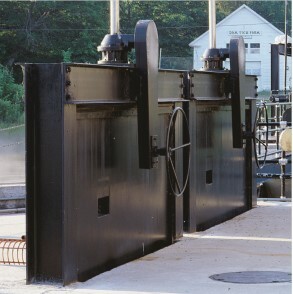 The Vertical Slide Gate is one of the more basic style of water control gates. Typically used at low to medium heads, this gate consists of a flat reinforced gate leaf with low friction bearing pads and perimeter seals. 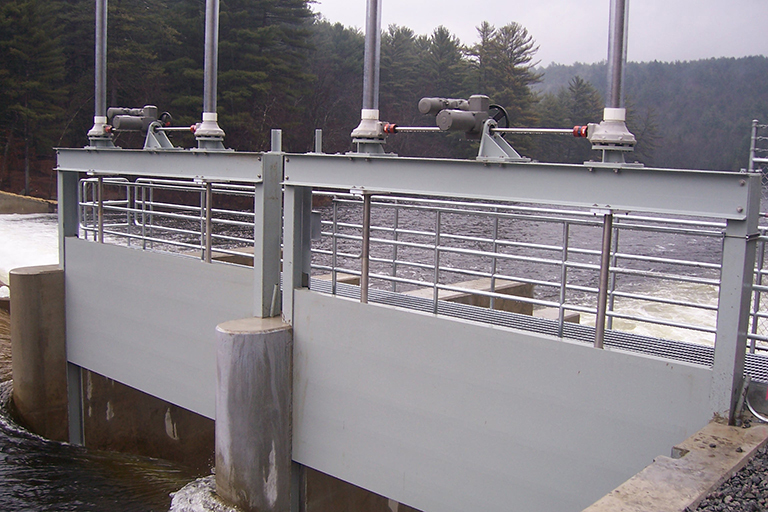 The Slide Gate operates vertically within a new or existing guide frame. 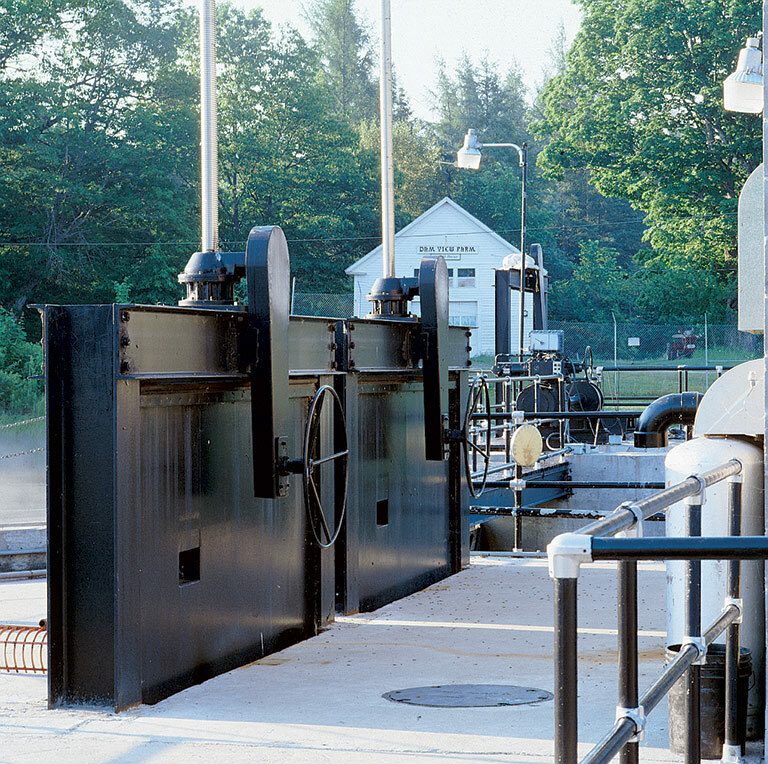 These gates may be operated with a hydraulic cylinder or a screw stem system using manual gearboxes or electric actuators. 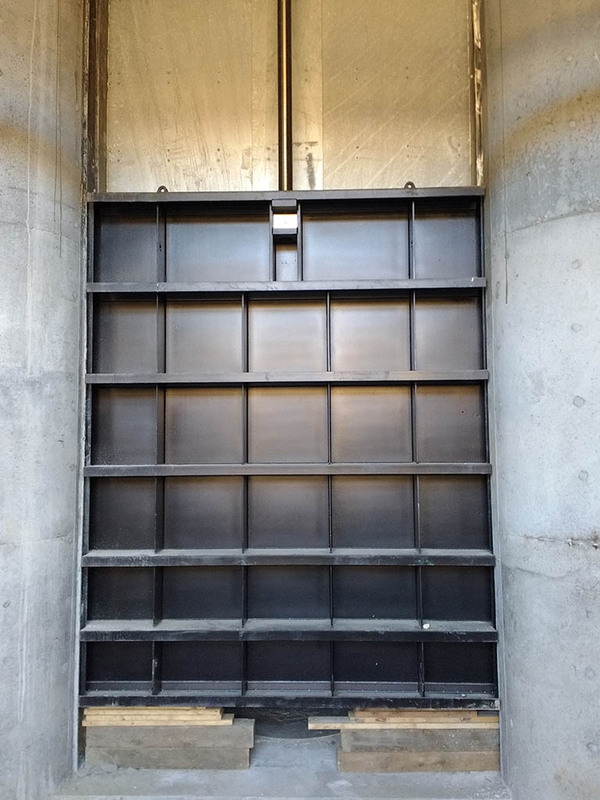 A common application for Slide Gates is on an intake structure. 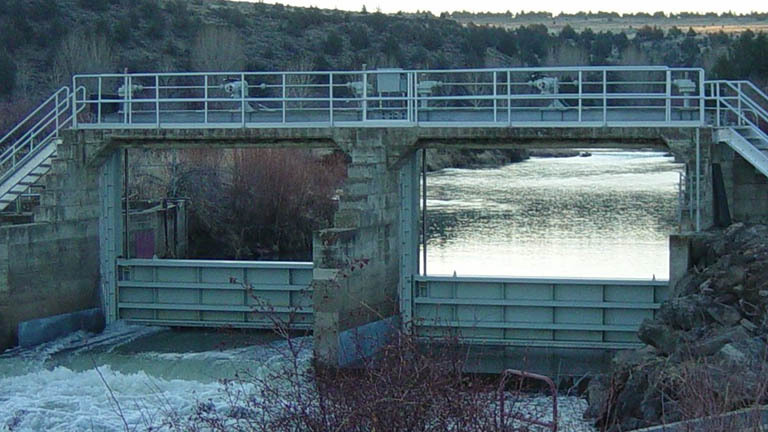 A Slide Gate may also be used as a Weir Gate that lowers to open. The water passes over the top making this style useful for passing floating debris. Dual stem arrangements can be provided for extra wide gates.